Ever just crave spaghetti squash? I do. It’s not something I eat all the time, but when I’m in the mood, it’s the best. Usually I steam it and serve it with a marinara sauce loaded with vegetables. That’s exactly what I did this week. But I had quite a bit of squash leftover, so I decided to make pancakes the second night. I made a fresh tomato sauce to go on top. I love making this in the summer with yummy fresh tomatoes and basil. 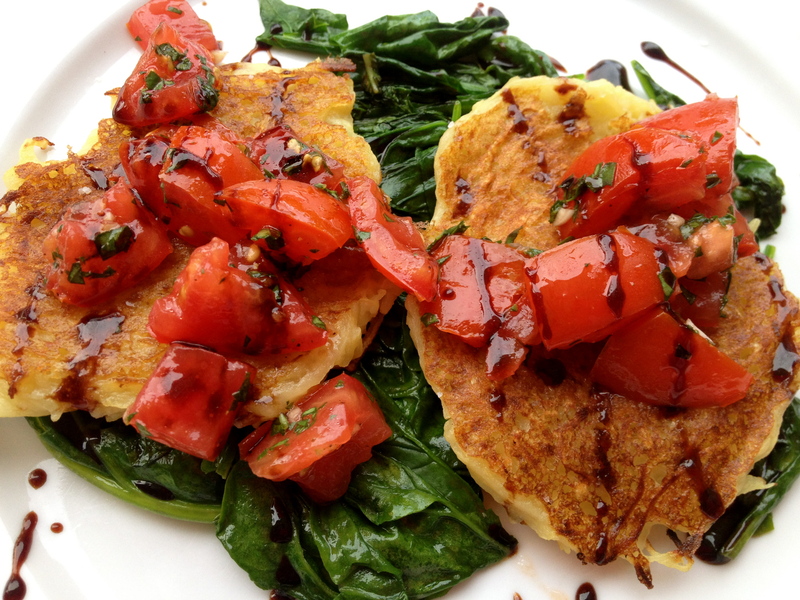 I made it first so the tomatoes could marinate while I made the squash pancakes. I sauteed some fresh spinach and made a balsamic reduction also. Sounds like a lot of steps, but it really was easy. Just got back from a 2000 mile road trip from Houston to Cincinnati. So great to see old friends and enjoy cooler weather. Since I was traveling by car, I packed a bag full of healthy snacks. My favorite thing that I brought along was a sleeve of rice cakes and a jar of creamy Sunbutter. It’s amazing how satisfying this little snack is to me. I got my good friend Kristin hooked on it too. We’d spend a day shopping or go for a long walk and come home and make this treat. 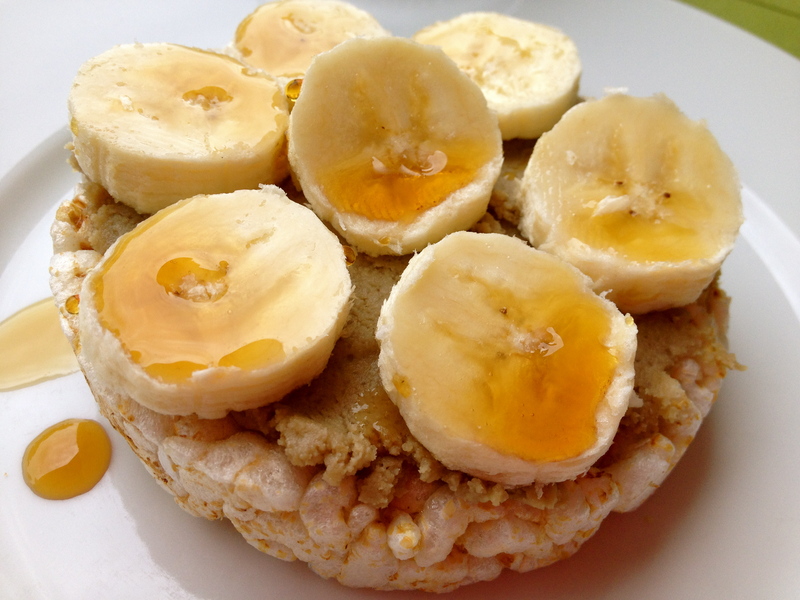 Couldn’t be easier: spread a generous tablespoon of Sunbutter on lightly salted rice cake. Top with fruit if you feel like it…bananas, strawberries, peaches…whatever. Oh, and a little drizzle of maple syrup is pretty awesome, too.